As I reflect on the year of 2015, I truly am blown away by all of the changes I have personally made in my life, in just this last year. Not in any particular order…I changed careers, I took control of my health and gave myself another tool so that I might finally be successful, I started this blog, and I took a focused look inward to realize my strengths and weaknesses to tackle what I need to celebrate and what I need to work on in the various aspects of my life. I did good this year. All of the things I set out to do this year I did, and more. Now I have to admit, I met 2015 with a battered heart and a lack of faith in myself, really walking adrift and aimless at the beginning. For most of 2013 and all of 2014 my sole focus was on my marriage and keeping the kids oblivious to the turmoil. With the dust settled, doors closed, and new foundations being constructed by the end of 2014 I took a look in the mirror last New Year’s Eve and, while I was hopeful, I was damn tired. Drained. Like swimming in the ocean for months and months and finally making it to the shore, success!, but no more gas in the tank, know what I mean? I didn’t have a plan for my personal goals and growth. I couldn’t even tell you what those were. Yes I was in the middle of grad school but just pushing the paces to get me through until graduation. It wasn’t until February when I was sitting in a 3-day summit meeting at work when it hit me – dead in the face – what in the hell am I doing here? I hate this industry and there’s no where for me to grow or even do something different! I made a plan then and there. I was going to bide my time, finish grad school, then go on the hunt for something inspiring and ideally from home. My kids are getting into their teenage years and my constant presence in their lives would be even more vital than ever before. A week later a job popped up in my LinkedIn profile bar, and it was with a company I desperately wanted to work for and had wanted to for 3 years. I didn’t go lookin for it either-in my mind I wasn’t ready. But there it was, right in front of me. I took a chance and applied. 7 weeks and 5 interviews later I was offered a position with this company and I haven’t looked back. More money, I work from home, and the growth opportunities are endless. And I absolutely love what I do now and the company I work for. Meanwhile, I took a strong hold on my health. Diet and exercise, Crossfit, personal trainer, c25k, weight watchers, I was in the war zone – and losing. Discouraged and depressed I turned to food and self-sabotaged every effort I was making. But I didn’t stop the efforts, just obviously couldn’t break trough. I gained 40 lbs in 6 months. Enough was enough and VSG was going to help me win over depression and self-sabotage. I committed and was/am all in now. Best decision ever. I started this blog. Both to meet fellow WLS Angels and to keep myself accountable. A bonus would be if I helped others out in their journeys too. It’s been amazing so far, living my journey and sharing with others and becoming friends with people who understand just how hard this really is. Those are the highlights-the big stuff-and just know there were so many other changes in my life I was making too. So, when I look in the mirror on Thursday I ask myself what I will see. What will I do? What do I want and How will I do it? I want answers and plans on Thuraday-a list and a plan. So what is your New Year’s resolution? 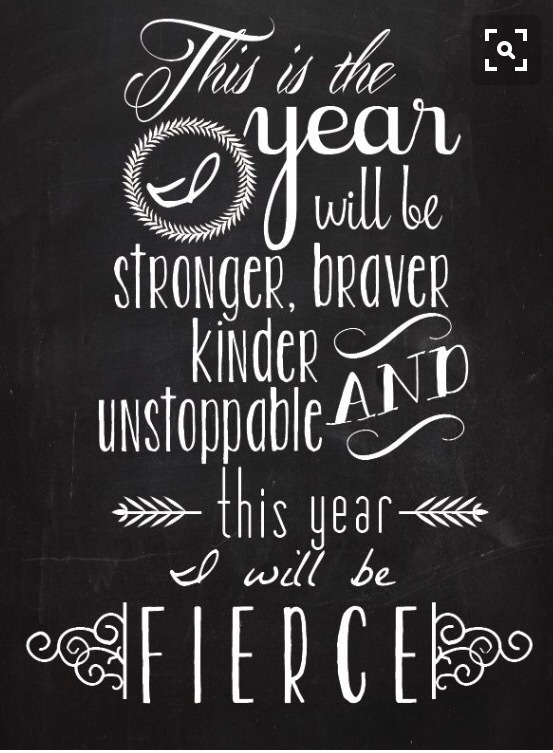 2016 has a whole host of changes coming my way-those that are already seen. Student loans, financial planning, the logistical stuff yes, but things that need to be tackled for sure. But what about the me part? I am a mom and a wife and I am not by any means a selfish person. But 2016 is going to be focused on me. Selfish? Maybe. But the better I make me, the better I am for those impacted by me. I bought a Passion Planner. I oogled and googled and found the right one for me. I’m very excited about receiving it. It may not be here for a few weeks but the site allows you a free download so I printed the directions and a few weeks to get me started for when I get the book. And I am excited. I am looking deep to find my true passion. I am making an action plan, that incorporates all of my life goals and tasks to make my way towards them into my daily routine. My New Year’s resolution? To diligently USE my planner everyday, to capture my thoughts and be accountable to my dreams and what I am doing to make them a reality. I won’t accomplish everything in one year, I know, but at least I will be driving the bus to a destination of my own design. No more aimless days of just getting through the logistics of daily life. I will walk with purpose. And I will have yet another tool in my Arsenal to help me get there. Posted on December 28, 2015 by AmandaPosted in Amazingness, Family, Fitness, Gastric Sleeve, Grad School, MusingsTagged 2016, Passions, Planning, Resolutions, VSG, WLS. Previous Previous post: What to blog? Personally Amanda, I have no resolutions this bar to keep on doing what I am doing, get even fitter, try even harder and be the very best person I can be. I don’t think you can resolve to fall in love because that catches you when you least expect it but I would like that to happen more than any other single thing. Here’s hoping that both our wishes come true and that we BOTH end up with quite wonderfully remarkable years…. !